Liz was absolutely wonderful to work with. As first time homebuyers, she made sure we were comfortable and that we understood everything about the process of buying a home. She was professional and fun to work with, and we never had to wait long for a response to an email or a return phone call. I would recommend Liz to anyone who is looking to buy or sell a home, and we will certainly be recommending her to our friends and family and will be using her again if/when we decide to move. Liz is a full service provider who helped a difficult sale situation become a lot easier to handle. I had to move for work and had to get my house on the market quickly in the middle of winter. Liz worked tirelessly to make sure I was kept in the loop and took care of things at my house after I had already moved out of state. She got me a fair selling price and helped me overcome some difficult negotiations. I would absolutely recommend Liz for a selling or buying experience (I used her to buy the house a couple of years earlier). Thanks Liz!! Liz has the most integrity of any person I have met. I trust her with more than just my home. She's honest and forthright and makes you feel as if you are her only client. I have, and will continue to recommend her. She's the best! Liz is a true professional. Gets right to the point and has great follow up skills, you never feel forgotten. I always felt that my interest was represented in the best way possible. Working with Liz was a truly wonderful experience. I have recommended her to clients and family and have always been thrilled with the way they were treated. Very Responsive and was Great at Negotiating..
Liz was awesome to work with! She was c with the sellers to get us the best possible deal. Liz made the entire process enjoyable. My wife and I have recommended Liz to friends of ours and they have nothing but great things to say about her as well. We will surely use Liz again as our agent. Liz is OVER THE TOP when it comes to serving her clients! Morning, noon or night, you can BET she is hard at work, meeting her clients' needs. I have never met anyone quite like Liz...she is so passionate in what she does, a true professional, and something else you don't always find...100% completely real, honest and authentic! Not to mention a terrific personality, fun, and really puts you at ease. 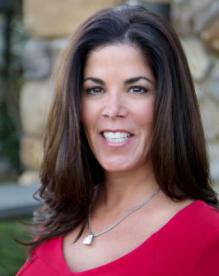 Truly the best Real Estate professional you will ever find, I can't say enough great things about Liz, she is THE BEST! Liz is great to work with and is extremely responsive. Choose her to buy or sell a home and you will be glad you did. Handled Personally and with Integrity..
Liz has helped me to purchase a home for myself and most recently a home for my grandparents who were relocation from FL to PA. She is incredible. She worked to make sure we saw all of the proeprties we wanted to, when we wanted to see them. She took her time with us, explained the process and made sure that no stone was left unturned. We referred her to my brother in law who was buying and my father in law who was selling. All transactions were handled with the utmost level of professionalism, and in a very happy manner. I've also worked with Liz on the closing end of the transaction and have closed as title agent two separate transactions. Liz was always timely and professional. She provided all paperwork in a timely matter, and made the closing process seamless. There was never a want for any documentation or fees from her. Her buyers always were pleased with her service and respected Liz for what she helped them to do. I feel extremely comfortable recommending Liz to anyone. I know your transaction will be handled personally and with integrity. There is no doubt she will help you find a house that will be your home. Helped me sell a home.. The Best Realtor in Chester County! Honesty and Guidance made us feel really Confident..
Liz helped my husband and I buy our first home. She made the daunting experience not only easy but really fun. She guided us through everything! It was awesome having a realtor that felt like a big sister! Her experience, honesty and guidance made us feel really confident, not to mention she found us the perfect home. Her availability, dedication and knowledge made all the difference! We feel really lucky to have found her and will definitely call her if when we need an agent again. Does her job Very Well..
Liz does an excellent job representing her clients as buyers. She knows what she is doing and does her job very well. She is Truly a Great Person not just a Realtor..
My wife and I first met Liz when we were looking to purchase a home in the Pottstown area and we went to an open house she was hosting. We immediately had a connection with her even though the home she was showing wasn't exactly what we were looking for. Due to circumstances beyond our control we were not able to buy a home at that time but she then assisted us in finding a rental. About a year later she helped us find our current home. She is truly a great person not just a realtor but a friend. We are looking forward to working with her again and would easily recommend her to anyone in the market for purchasing a home. Liz helped us find the perfect home..
Liz helped us purchase our first home. Not only did she help us through all our "first time home owner" questions patiently and completely, she also helped us through a brutal negotiation that seemed to never end. Liz was never flustered and always kept us in the loop. We also threw her a curve ball and completely changed our search area halfway through the looking process to an area that wasn't in her usual searches. Liz helped us find the perfect home and a fantastic neighborhood and should the time come that we find we've grown out of this space we will definitely ask Liz to list our property and help us find out next home. Thanks Liz!